Don’t be discouraged by the title - this story is actually (hopefully) encouraging. When I first got my Fitbit, I learned I averaged 5,000 to 6,000 steps a day. A few times a week I’d get far more than that, but my weekday average could be better. Around Thanksgiving 2018, I decided to pick up the pace and set a goal of reaching 10,000 steps a day - no matter what. I went to Zumba at the Y (7,000 steps), walked around my in-laws’ pond (1,000 steps), walked up and down the stairs at my office (100 steps), and danced around the kitchen (as many steps as it took). I hit 10,000 steps 14 days in a row. And then I kept going. I of course have an off day every now and then. But overall, I feel better when I find the time to get 10,000 steps. And over time, it’s become easier to work this into my day. What does this have to do with compliance? Compliance professionals often tell me: I start working on compliance, but then I get distracted and weeks go by. I start working on an audit and then something else comes up and by the time I get back into the audit, I have to re-learn the entire process. I want to spend more time on compliance, but there is just so much else to do. 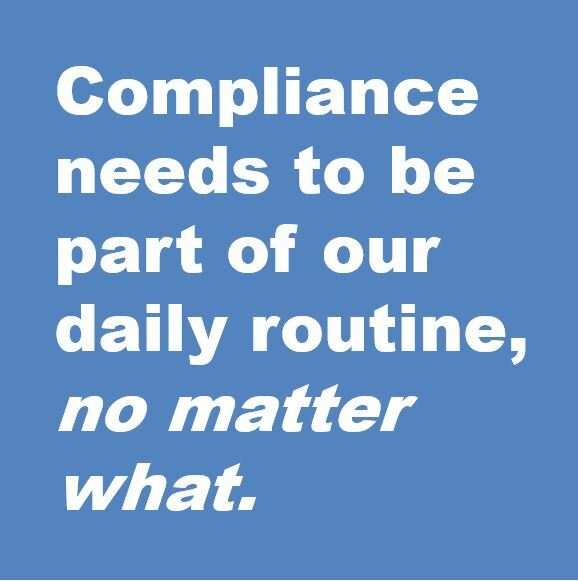 The problem here is that compliance needs to be part of our daily routine, no matter what. By consistently reaching a small goal (10,000 steps a day), I achieved a bigger goal: I lost 10 pounds. Compliance is the same way. If you commit to working on compliance consistently - even slowly but surely - over time, you will be rewarded with bigger results. In 5 minutes, you can go over a compliance tip, question or flash card with an employee, making a positive connection with compliance and reinforcing compliance knowledge. 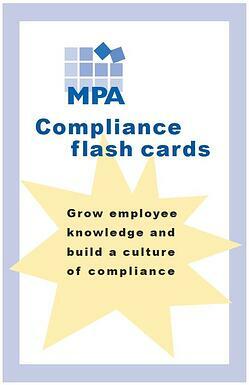 In 10 minutes, you can walk the halls and increase your visibility as Compliance Officer. In 20 minutes, you can conduct a HIPAA walk-through audit of a department. In 30 minutes, you can review a policy with an employee. Make room for small tasks, and watch your compliance program meet big goals in 2019.